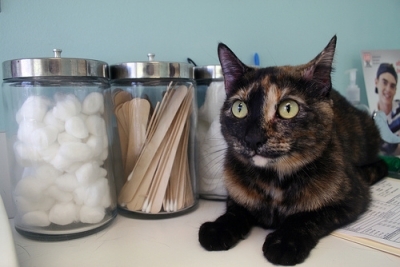 Saddle Thrombosis is most often seen in cats but rarely in dogs. It is a thromboembolism and occurs when an aortic blood clot travels and lodges where the aorta branches out to the back legs. The clot blocks the flow of blood. The blockage is called an embolism. Saddle Thrombosis is usually seen when there is a serious underlying heart condition. Neoplasia (abnormal growths), thyroid disease and pulmonary carcinoma can also be the culprits. Thromboembolism is most commonly seen in cats with cardiomyopathy. Thrombi (clots) are mainly found in the left atrium or left auricle of the heart. One of the biggest risk factors is an enlarged left atrial chamber. Arterial Thromboembolism is seen in male cats more often than females although heart disease is more common in males. Cats with Saddle Thrombosis are in great pain. 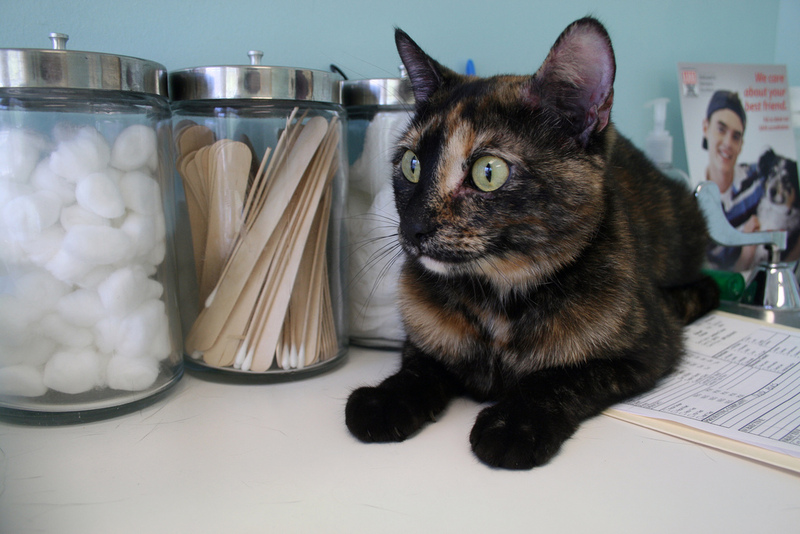 One of the first things your vet will do is inject medication to relieve the pain. Symptoms can be excessive panting with the cat unable to move. Back legs become cold due to loss of blood flow and nails are pale in color. Early detection of heart disease can be difficult unless a cardiac ultrasound or EKG are performed although they are not always conclusive. And they are expensive tests to do as part of a checkup. Treatment involves hospitalization in the intensive care unit (ICU) where the cat will receive oxygen and medications to support the heart and dissolve the blood clot. The cat will also undergo further testing. Surgery to remove the clot is an option, but may not be successful due to the cat’s heart condition. 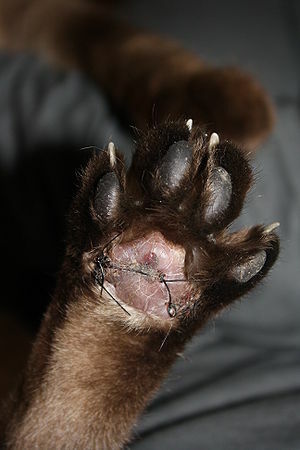 If caught early enough, treatment may result in success restoring the cat’s ability to use his/her hind legs. Sadly, prognosis is very poor with Saddle Thrombosis. It’s extremely difficult to manage at home and will need continuous monitoring. Euthanasia may be the kindest option.